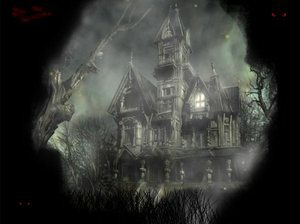 No Halloween would be complete without the haunted house. Open the door and feel the cool breeze kiss your cheek as the spirits float by. See all the cobwebs, flying brooms and chairs that move by themselves. Did you just hear a scream and the dragging of chains? Oh, my!